The streaming games service, called Stadia, allows users to run video games on sophisticated hardware maintained remotely by Google while directly controlling the action from their own devices over an internet connection. Google’s approach closely mirrors that of Netflix and on-demand video, a model that has since spread to e-books, music and live television. And it differs from existing platforms such as Bellevue-based Valve’s Steam, which require users to download and install a game before it can be played. But Google faces other rising competitors in the space, including Microsoft’s Project xCloud, a similar streaming service. News reports have also suggested that Apple, Amazon and Verizon may be mulling a push into cloud gaming of their own. To help cement its place in the gaming industry, Google said Tuesday it is founding its own, proprietary game-development studio, Stadia Games and Entertainment. The main Stadia service, which Google said will launch sometime this year, is also a recognition of YouTube’s growing prominence as a destination for gamers, where many users produce videos of themselves playing games as countless viewers tune into their channels. 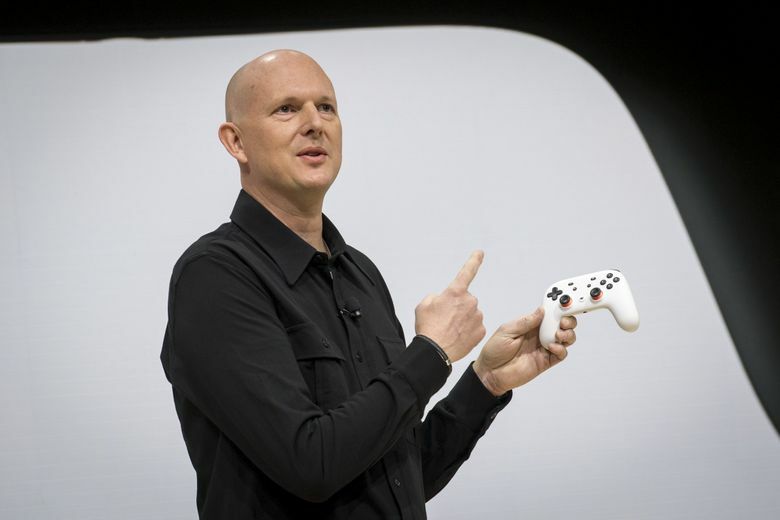 Google’s Stadia controller includes a dedicated button to share captured video-game footage straight to YouTube, and the service will support simultaneous YouTube streaming of in-game activities, executives said. Google’s announcement represents the splashiest entry into cloud gaming yet after a public beta last fall that allowed testers to try out “Assassin’s Creed: Odyssey” from a Chrome browser. “We believe third-party publishers would be reluctant to empower distributors the way media companies empowered Netflix by allowing them to include front-line product,” Ross wrote in a recent research note.